J.J. Thomas, Paddington Wire Works. 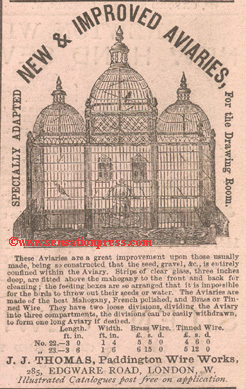 A magazine advert published in 1869. Copyright © 2003 - 2017, The Sensation Press, All Rights Reserved.